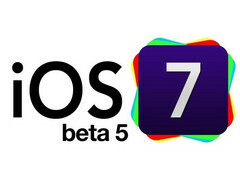 Apple published the latest beta of iOS 7 for registered developers, about a week after the previous beta was seeded. iOS 7 Beta 5 includes a new icon set, as well as various minor tweaks and fixes. Announced on the 10th of June, iOS 7 has just managed to take another step forward, bringing the current version number to Beta 5. This happens less than 10 days after the previous release and takes us closer to the final version, expected to take place this fall. Same as the previous Beta versions of iOS 7, the Beta 5 supports the following devices: iPhone 4 and 4S, iPhone 5, iPod touch (5th gen), iPad 2, iPad with Retina display, and iPad mini. Apple TV also got its Beta version updated. Just as promised, Apple continues to refine the user interface, the entire design effort clearly heading towards a minimalistic design. The Beta 5 brings a new design to the iOS lock screen and all those who have already managed to use it claim it's more stable that ever before. Even more, a new preview version of Xcode 5 has also been added. 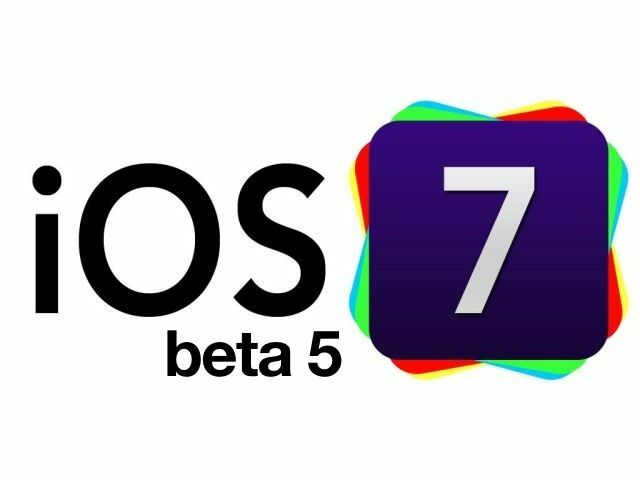 So far, Apple managed to deliver new iOS 7 Betas at a steady pace and, according to older rumors, only one more Beta will be released before the Gold Master build arrives. After that, the public release will follow.